My family and I went to the theatres to see “The Hobbit” today. (Decent movie…not faithful to the book, but still good. Thought the 3D was worth it.) If you have gone to the movies recently, you know you first have to be assaulted by 10-15 movie trailers for forthcoming movies. And what is coming soon to a theatre near you? The apocalypse. Armageddon. Zombies. Alien destruction of the world. Post-apocalypse. I kept waiting for a love story. The only one that would qualify was a “zombie falls in love with a girl” flick…and then they try to stop the mass destruction of zombies before said zombies kill remaining humans. Even the kids’ cartoon movie is about alien destruction. What is the big deal with the “end of the world as we know it” motif? Does it have anything to do with our political mess of the “fiscal cliff” or “debt ceiling”? Or the recent fascination with “end of the world” predictions (whether by Mayan prediction or by stories about close-calls with asteroids)? Someone has figured out there is a lot of money to be made with this genre and so we are flooded…next year it might be riches to rags movies. What reasons can you think of for this fascination with the end of the world? …the world would be run by girls. Such was the observation of my wife after attending our son’s graduation from elementary school and the 6th grade. I concur. 80% of the awards and recognition for leadership went to girls. Actually, to about 30% of the girls. Mind you, I am not the least bothered by this. It was great to see these young women so active in the life of their school and community. However, I do have a question: Will their leadership last? There seems to be a pattern of girls falling back from their high performance in athletics and academia (my general impression and surely not always accurate). Why would there be such a change? Social pressure to focus on looks and boys? Boys catching up development-wise and creating more competition? Or, are we seeing a change in culture that will continue? I’m hoping for this last question to be true. When my wife was in school, there were few opportunities for girls to excel in sports. That has changed. A goodly number of the girls mentioned aspirations of being a professional athlete. When my mother was in school, I doubt many of her classmates aspired to be doctors and lawyers. These days, girls recognize that most professions are wide open to them. So, I hope we are seeing a continued culture change. I’m all for girls wanting to be married and to become mothers (all in DUE time) but I am also worried about how much pressure we place on them regarding looks and body image. Can you and I do anything about the world of sixth grade girls? Well, let us all endeavor to encourage young women to focus on their intellectual pursuits and god-given callings. And let us cease giving support to those cultural entities (ads, TV, movies, print media, etc.) encouraging young women to equate value with looks. A few days ago I wrote this for our seminary’s blog regarding how counseling supports the global mission of the church. If you are interested in international counseling work…you need to read this blog and follow the link I promote. Counseling as Global Mission of the Church. 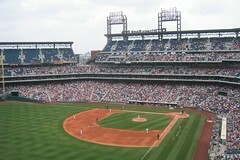 Last night I took my family to a Phillies/Red Sox baseball game. My wife gave me two tickets for father’s day without knowing that another wonderful person offered me two of his tickets to the same game. In many ways, it was a great and blessed night: wonderful weather, great seats, time with one of my sons, a gem of a pitching outing by Cliff Lee despite the fact that I’m a Red Sox fan, a batting practice ball caught and given to my son, and best of all…missing keys turning up in at lost and found (if God hadn’t answered that prayer…well this would be a far different post!). Put on a shirt for your team, drink (see #1 above), and you enter the Lord of the Flies. People acting if THEY were the team. When their team does well, they are inclined to make sure the “enemy” is duly scorned and despised. Some fans of the opposing team (Red Sox fans in this case) don’t seem to realize the odds are against them. Some “men” in front of us decided they would take on the fans in front of them. Created some anxiety in myself and my son. Probably #1 involved. Thankful security took care of the issue. I’m all for cheering, but some cheer in such a way that makes you think they’re cheering for righteousness and jeering the Nazi Germany. (I”m sure this would also be true if we were in Boston, where I took a beer over the head at one game I attended there). Some people who pay top dollar for their seats don’t seem to stay in them very much. I can’t count the number of times some of the fans left to buy drinks and other merchandise, and take care of business in the bathroom. You probably already heard the news that Fred Phelps and his family, aka Westboro Baptist Church, won their Supreme Court case yesterday. If you are unfamiliar with this case, read/listen to NPR’s news story on the sordid history. The short summary is this. The Phelps family believes that “sodomites” and their supporters (America) are going to hell. This particular belief is not all that rare. But what makes the Phelps family stand out is, (a) their belief about what God is calling them to do about the problem, and (b) their tactics of protesting at funerals of servicemen and women and other public figures. A father of a dead soldier sued the Phelps for causing him pain and suffering when they picketed outside his son’s funeral. Among their picket signs about homosexuality were signs such as “Thank God for dead soldiers”. A lower court agreed with the father’s suit and awarded the father 5 million dollars in damages. Yesterday the Supreme Court reversed that decision saying that hurtful speech is still protected speech. If NPR has captured their motivations and beliefs accurately, then they have made a couple of significant errors. 1. Whose job is it to damn, blind, and judge? At the last day, God will indeed judge the world. He will separate sheep from goats. 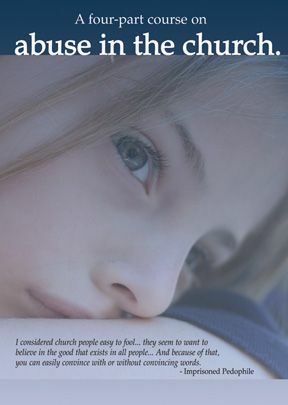 There will likely be surprises in heaven (last minute conversions and people we thought were going to be there but were really wolves in sheep’s clothing). Sometimes God sends prophets to preach to the condemned. True enough. But, the prophets preach the need to repent and/or the coming judgment. God does say to Ezekiel that his hearers won’t listen to him preach the need or repentance. But, preach repentance he must. Or consider Jonah. Jonah is called to preach to Nineveh. His job is to preach. And this is what bothers Jonah. Jonah knows that God is a merciful God and will forgive. That is what bothers him; he wants Nineveh to suffer! The Phelps want America to suffer. 2. The message? Do the Phelps want people to be converted and get into heaven? By the quotes above you would have to answer an emphatic NO. Seems they might be afraid to find that heaven is filled with all sorts of sinners (maybe even pride-filled, angry, protesting, mean-spirited people?). Paul says gives a list of sins and says, “and such as were some of you” as he writes to believers. Let us remember that heaven will be filled with sinners. Yes, those sinners have been forgiven and are living lives of daily repentance and turning from their sin. But sinners they are right up to the moment of entering heaven. How do we respond to sinners? How do we respond to ourselves? Pray, converse, eat with, and care for. Oh, and yes, talk about the only way to righteousness. Following Jesus’ example is a good start! Why are we obsessed with the race or heritage of those we meet? Seems like we are overly interested in ethnicity…as is “”what are you?” kinds of questions that we ask those who seem exotic, different, or not clearly defined. 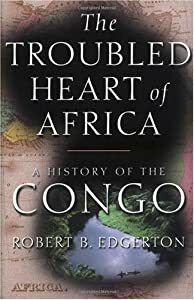 Am reading two books at once: Robert Edgerton’s book on Congo history, “The Troubled Heart of Africa” and Jean-Pierre Chretien’s “The Great Lakes of Africa: Two Thousand Years of History.” This obsession with lineage and ethnicity is not new. Both have numerous quotes from Europeans during explorations in the 1800s. Rwandan Hutus and Tutsis are variously described and “nilotic” (from the Nile), Semitic, Negroid, Greek in facial features, etc. Certain Congolese are described as Macaques (Monkeys) and those who hare “civilized” are described as “evolved.” Of course many described them as “hamitic” as in the tribe of Ham. I know we are beyond (mostly) those dark days of abject, unabashed racism, but seems we still want to classify people. I’ve been asked, “What are they?” in regards to my kids (who are clearly African American). I imagine biracial folks get these questions in spades. Why is it so important to know? What do we gain from asking? I think we ask for a couple of reasons. Categorizing via racialization. We may want to know how to think about someone. “Are you Italian? Oh, so that explains why I think you are…” This is the biggest reason I think. It gives us clues (shortcuts and stereotypes) as to how we want to think about and respond to others. The ugly side of this is that we categorize in order to develop stratification or castes. Are there other reasons we do this? Good ones?